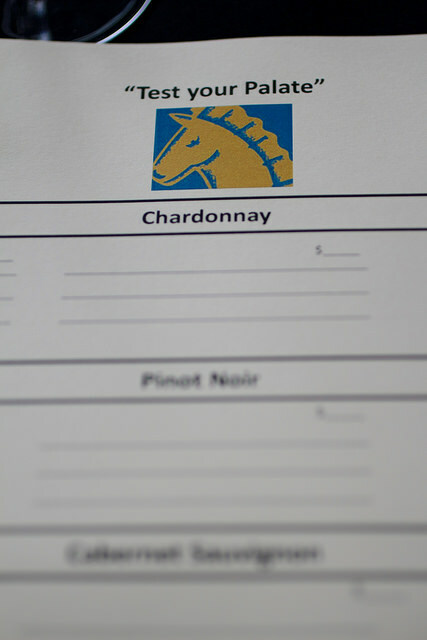 The “Test your Palate” challenge featured three different kinds of Chardonnay, Pinot Noir, and Cabernet Sauvignon, all in brown bags labeled “1, 2, 3”. 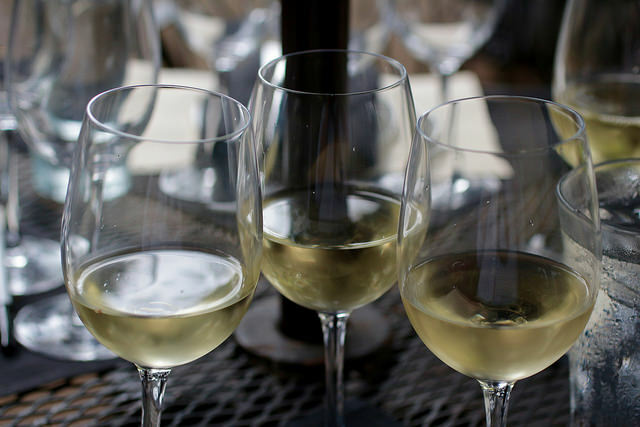 After tasting each wine, we ranked which ones we thought were the least to most expensive. I’m definitely my mama’s daughter because I correctly guessed all three Chardonnays! We’re ready to go back to Horseradish Grill anytime. Every tasting we’ve had there has been amazing (check out our post from the garden party last spring!). For more information about Horseradish Grill, check out their website, Twitter, and Facebook.